For someone who tours as much as Rich Aucoin does, he produces very little new music. That's not a slight; though his recordings certainly fuel his cinematic live shows, they are their own carefully orchestrated, emotionally nuanced beast. The first new material the Halifax musician has released since 2014's Ephemeral (a hard drive with a bunch of new music was stolen from Aucoin at the beginning of last year), Hold is a break with the past: its four tracks have little in common with that record, or each other for that matter. 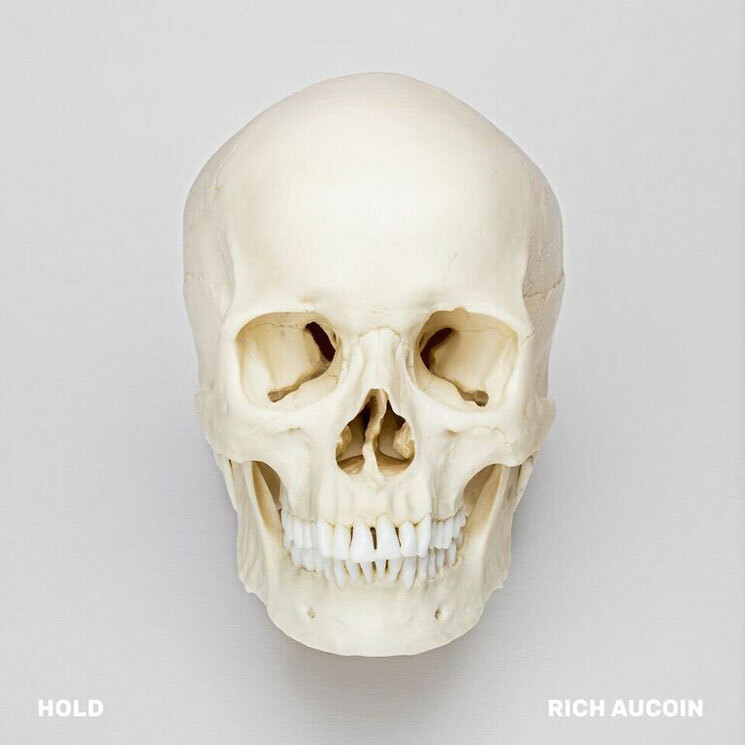 "The Fear," on which Aucoin's hushed vocals ride atop a straight-up baggy/acid house groove, is followed by the floating vibes of "The Dream." "The Middle" hews closest to Aucoin's baroque pop past, while the record ends with a seven-minute electronic instrumental. All four are buoyed by Thomas D'Arcy's deft production hand, giving the entire collection, especially the drums, a booming presence — they sound like they were recorded by humans in a room rather than on a laptop. As strong as the individual tracks are, and as exciting as it is to hear Aucoin venturing into heretofore-uncharted musical territory, there is no thematic throughline. That might seem like a minor quibble, but Aucoin's records have always benefited from cohesive narratives, both lyrically and musically. Taken together, these tracks feel relatively disjointed, ripped out of a larger body of work, their collective tissue as yet to be discovered.